It’s great to see so many friends spotting the old man! July is a great month for finding this very easy to identify, non-gilled member of the bolete family (Strobilomyces sp.). The cap is especially wooly with an underside of grayish-black pores. Some consider him a fine edible when young, others say he’s just not worth the effort. I side with the first group, and find that this mushroom, although a bit slimy, adds a nice hearty flavor to meals. 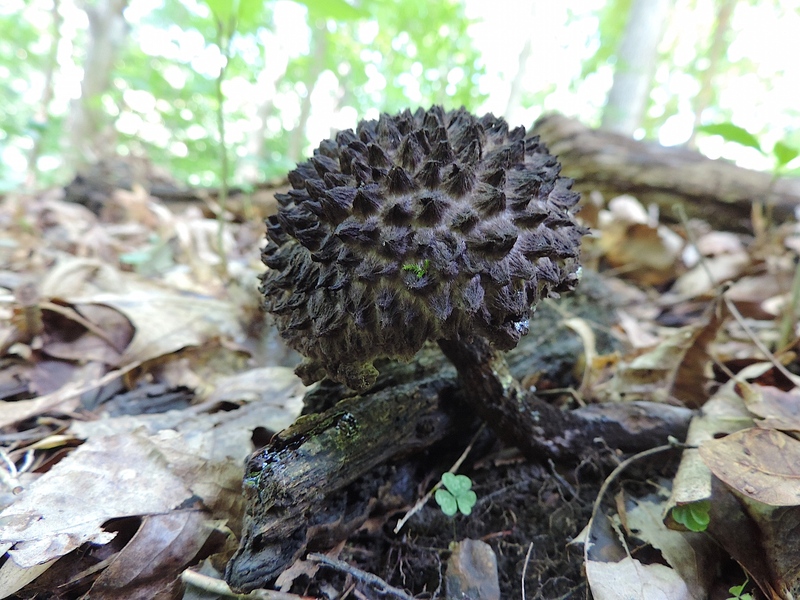 Look for old man of the woods near oak trees, as well as in coniferous woods in Western Pennsylvania. He’ll be around for a while.